Wolfsburg vs Bayer Leverkusen predictions for this weekend’s German Bundesliga. European hopefuls Wolfsburg and Leverkusen go head-to-head at the Volkswagen Arena on Saturday. Read on for our free betting tips and match preview. Wolfsburg will be disappointed not to have started 2019 in the same manner they ended 2018. Two goals from former-Wolfsburg man Daniel Caliguiri were enough to see Schalke to a 2-1 win over them last weekend, but the Wolves shouldn’t be disheartened. Bruno Labaddia’s men have taken a solid 16 points from their last seven Bundesliga outings (W5 D1 L1) and that’s been enough to see them as European contenders for the first time in a while. Wolfsburg’s form is not just from a run of favourable fixtures either – they’ve bettered sides like Leipzig and Frankfurt on their rise up the ranks. Leverkusen blew hot and cold in 2018, and new boss Peter Bosz, who was brought in to replace Heiko Herrlich over the winter break, was unable to warm up this cold January. His side lost 1-0 at home to Borussia Monchengladbach last weekend – a crushing blow to their chances of making the top four – and another loss here against Wolfsburg would make it hard work for Leverkusen to even challenge for a top six spot by the summer. A team of their calibre should be doing better and only their recent DFB Pokal and UEFA Europa League successes distract from one of their worst ever starts to a Bundesliga campaign. With Wolfsburg the side in marginally better form, the price simply looks too good to bet against them at home to an unproven Leverkusen side. With that in mind, the value for us here looks to be in backing Wolfsburg ‘draw no bet’ – that is, if Wolfsburg win, the bet wins, and if Wolfsburg draw, the bet is refunded. 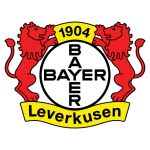 Leverkusen’s problem in the first half of the season was in their defence and, unusually, they’ve appointed a coach who doesn’t have a particularly good track record in that department – for example, though his Dortmund side scored a solid 53 goals in 24 games in 2017, they won just 8 of the 24 games under his leadership because of their 38 goals conceded (W8 D7 L9). You could make an argument and say that Wolfsburg haven’t been overly impressive at home this term, but their track record against Leverkusen at the Volkswagen Arena is also worth noting – Wolfsburg have won 15 of the 22 matches against them there (W15 D1 L6). Leverkusen have also lost to each of the top six sides that they’ve faced away from home so far (Gladbach, Bayern Munich, Leipzig and Eintracht Frankfurt) so you could even state the obvious and say that they simply don’t fare well on the road to stronger opposition. Leverkusen won’t be able to turn that around immediately under Bosz, but given his style, we do like the look of goals. Our prediction: 2-1 Wolfsburg. Leverkusen boss Peter Bosz’s first Bundesliga match as a manager was away at Wolfsburg (3-0 win with Dortmund on the opening day of 2017/18).